Apps have become a hot business opportunity over the past few years. With everything from silly games to complex software, app stores feature endless opportunity. However, building an app from scratch can be daunting, especially for someone without a tech background. If you are an entrepreneur with no technology experience, you can still build your own app. 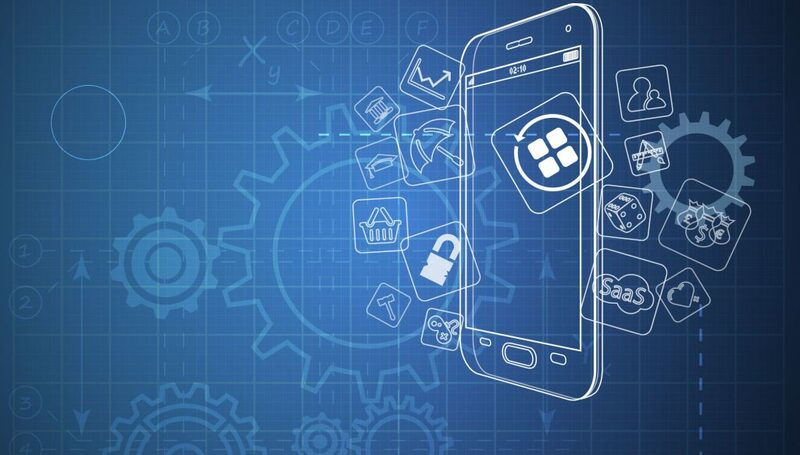 Follow these steps below to build your own app, even without a tech background. The first step to any entrepreneurial endeavor is to write up a business plan. Once you have an app idea, a business plan will help to refine and hone in on the features. This is where you can explore concepts and identify the primary focus of your app. Additionally, this will allow you to analyze the market and your app’s potential competition like WebToGo Diagnostics. Having a strong business plan is the best choice to help you organize your ideas so you can dive into the design process with confidence. This next step does not require a tech background. All you need is a pencil and paper to begin bringing your app idea to life. This is where you should sketch out the design and layout of your app. You can even design a logo to apply the trademark symbol to. It does not have to be perfect. You just need to develop a more concrete idea of the flow of its user interface and its features. Once you have these ideas sketched out, you can move on to step three. App builders are widely available and easy to use, even for people with no tech background. Although these may not be the best choice for designing your official app, they are the perfect way for you to take your sketches to the next level. Additionally, it will give you an idea of the app development costs. Several websites offer an easy and simple way to make your app design digital. This step is important because it allows you to further refine your interface, design and sketches before you move on to step four. If you are serious about turning this app into a business, you should consider getting investors involved by preparing PowerPoint presentations. Using your mockup to convince them, you can present potential investors with the features and services you hope to offer. Be sure to emphasize the problem your app solves and the specific target audience you will appeal to. If they like the idea, you may find yourself collecting investments that can be used for step 5. Finally, the next step to building your own app without a tech background is to outsource to professional app developers. One you have the idea established, you can bring in an expert to do the rest of the work. Read about how we define outsource to grow your business. Working with an app developer will ensure a quality product, this will also allow you to move on to another important phase towards a successful app launch- digital marketing. If you need to keep costs low for business, you can still build an app without hiring a mobile developer for visual marketing purposes or otherwise. All you have to do is learn to code. This is definitely a taxing endeavor. However, with sites like Code Academy, you can learn to code for free online at your own pace. Coding skills will benefit you in many different ways for a long time. That is why it is a worthwhile investment of your time. It may even help you in the future when starting an internet business. If you want to build an app without hiring a developer, consider learning to code from a free online coding program. Building an app without a tech background can be difficult. However, with determination and patience, you can bring your ideas to life. Sketching and creating a mock up are two essential steps that anyone can follow. Then, once you have fully conceptualized your app, you can bring in a professional to do the rest. Even without a tech background, you can create a successful app by following the steps above.